Click above for more information and more posts! The new one is one of those loopy thread types with a "no touch" ringer. It works nicely, but unfortunately, does not scrub well. The head is removable and washable, so that's a bonus. I am officially cleared out and no longer working! Saturday they had a local "Children's Festival". Went with the fam for a couple hours. It was nice, but it was PACKED. This one is growing on me. It's really cute and I always feel happy when I finish it. I have so many mops sitting in my garage; they form a little circle of sad cleaning equipment...I'm still in search of a great mop! 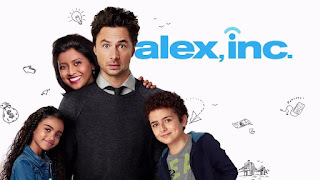 I'm curious about Alex, Inc. I did see one kind of cool one I wanted to get, but it was an "as seen on TV" thing and cost a little bit more than I wanted to pay. It did something like spin it to dry it or something like that. Idk. Haha! This one is a new one for me. We used this type (well, similar) at my job and I liked the ease of it over the sponge kind. I am probably going to have to get some kind of scrubber. Bleh. Well, it has been raining, so one can hope! (although everything will probably be coated yellow tomorrow). I have not seen Superstore but I fee like maybe I need to????? I like it. It is sort of like The Office, Parks & Rec, and Brooklyn Nine Nine where you do have to give it some time before it gets good. It's mostly just a silly workplace comedy. I wasn't really expecting the finale. I have a collection of disappointing mops. Sometimes it’s easier to just sit on the floor and hand scrub it. Have a great week! Oh geesh. I'm kind of hoping to avoid that! This one does a good job in terms of cleaning the floor and the floor dries quicker than when I was using my old sponge one. I am debating on getting a long handled scrubber brush like we had for the floors at my old job. I hate crowds so as we were driving in I was already saying "why are there so many people here? How many people ARE here?" It wasn't too bad. They held it at one of the city's larger parks so the areas were pretty spread out. We arrived about two hours after it started so there were a lot of people, but it wasn't super packed. We left after two hours. I love TV. Alex Inc is the only new one up there. Superstore got an honorable mention because I was surprised at the finale! I haven't heard of either of those two shows, but I think I'm going to check them out now. Sometimes a cute show is great for a diversion. And your reaction to the finale for the other one makes it seem likes it's worth watching! With Superstore, you can jump right in, but it is better from the beginning (they took the first two seasons off of hulu - boo!) I just wasn't expecting it! Alex Inc... There is just something about it. It's very charming. It's usually hit or miss with dollar store purchases. 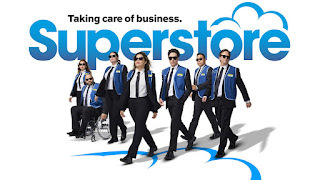 I've been meaning to watch Superstore, the commercials looked funny. I love the dollar store and get a lot of things from there. I love their cleaning liquids. The mop worked fine for what it was, but it was a dollar store mop. The new one was $10 and it works a lot better although it does not scrub. I love Superstore. I will say, that much like The Office, Parks & Rec, Community, and Brooklyn Nine Nine... it is one you need to hang in there for. It gets better. Shannon has read 3 books toward her goal of 35 books. As of September 2018, I am no longer using affiliate links. Earlier entries may contain them. They are clearly identified with a disclaimer at the top and/or bottom of the entry and individually identified with an asterisk. I reserve the right to start using them again in the future, I just don't want to at this point in time.